Our online brands either help you recruit better or keep you up-to-date on industry trends. Launched in late 2018, this unique employer branding tool humanizes employers through live video webinars where they share information about their culture and openings. 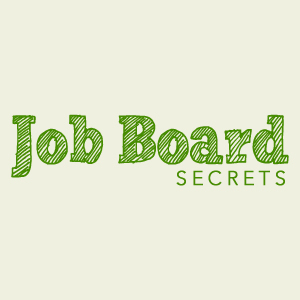 Job Board Secrets is an industry blog and membership site for job board professionals and entrepreneurs. Launched in 2009 it covers the job board world as well as providing tips, tricks and tactics for today’s job boards to connect with more candidates or clients. Are you properly rejecting your candidates? We’ve found that even a bad rejection or no rejection at all has a detrimental effect on an employers brand and leaves candidates with a bad experience. Rejobify flips that around and will get your candidates thanking you when you send that rejection email. Recruiting Headlines is a popular recruitment news aggregator that indexes the industry’s best blogs and news sites then delivers a daily email of the top headlines. HR Podcasts are exploding in popularity and thats why we launched a directory to track them all. HRpodcasters.com is the only place to find most of these shows in one place. Be sure to sign up for the morning email to hear the latest and greatest shows being published including our own RecTech podcast.